Self-serve diplomas are available for your individual students. 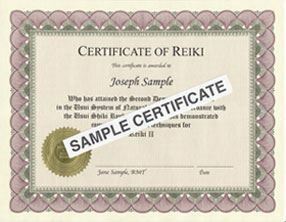 They are available for Reiki I, Reiki II, and Reiki Master levels. You may order individual customized certificates with this option that include your student's name, Reiki class level, your name as you would like it printed under signature line. 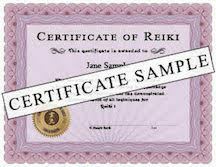 Reward your students with professional and official IARP Reiki certificate student diplomas. 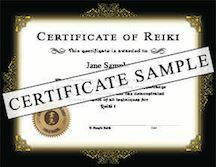 All certificate packs are printed individually, are on 8 ½" x 11" quality certificate stock with professional engraver's lettering and each includes an official gold seal and your heading of choice, style of Reiki, and your name under signature line. This service is available for IARP Registered Professional and Professional PLUS members. For certificate pack color choices please see below. Order online using the quickform in your Members Area and they will be on their way to you promptly. To order either option of certificate diplomas for your students please login here at login box to left and see Reiki Certificate Diploma Service (printed and mailed to you) and Self-Serve Student Diploma Service (for immediate download and printing) within your Members Area.